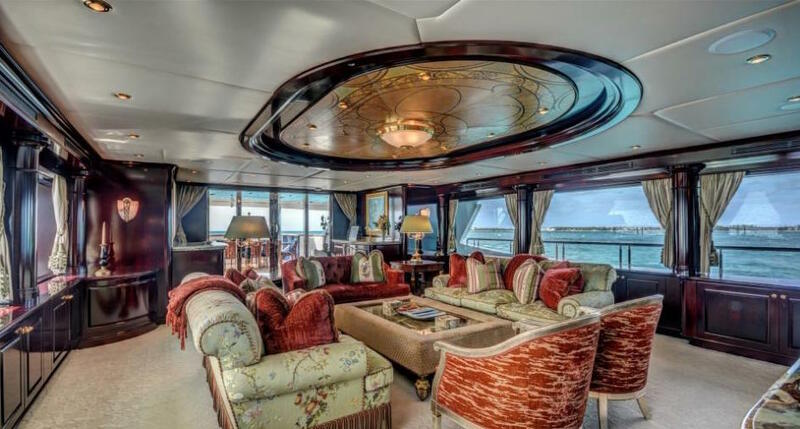 Luxury motor yacht NEVER ENOUGH (ex Libra II, Lady Linda) was built by Trinity Yachts in 2006 and measures 47,85m (157ft) in length. 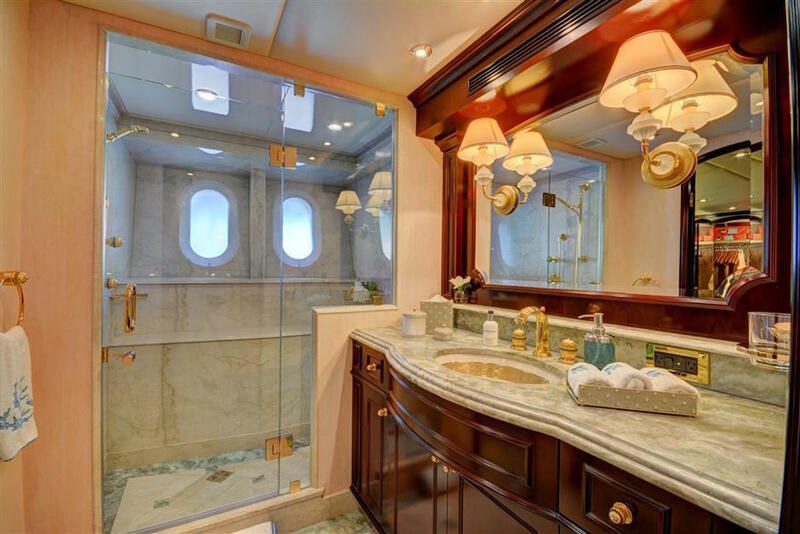 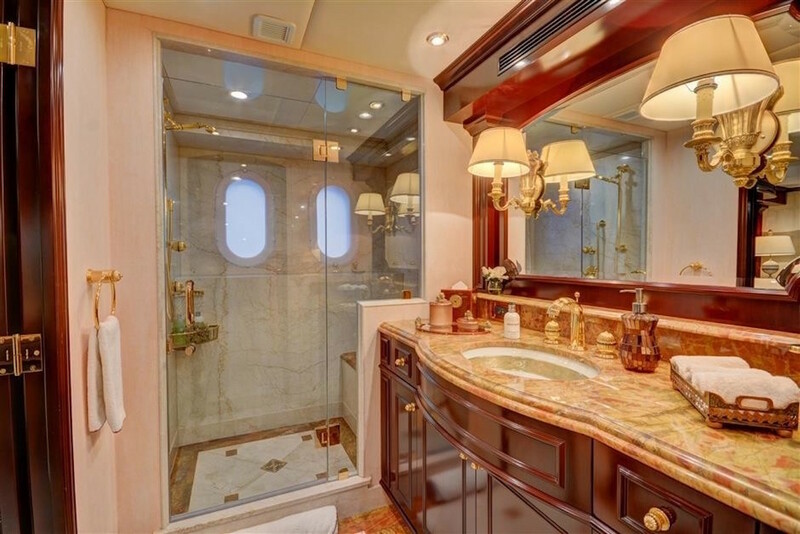 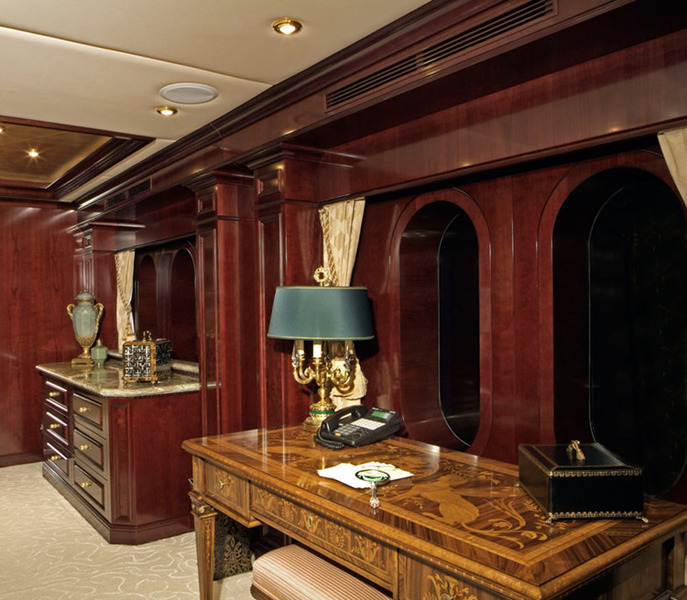 M/Y NEVER ENOUGH underwent a refit in 2014. 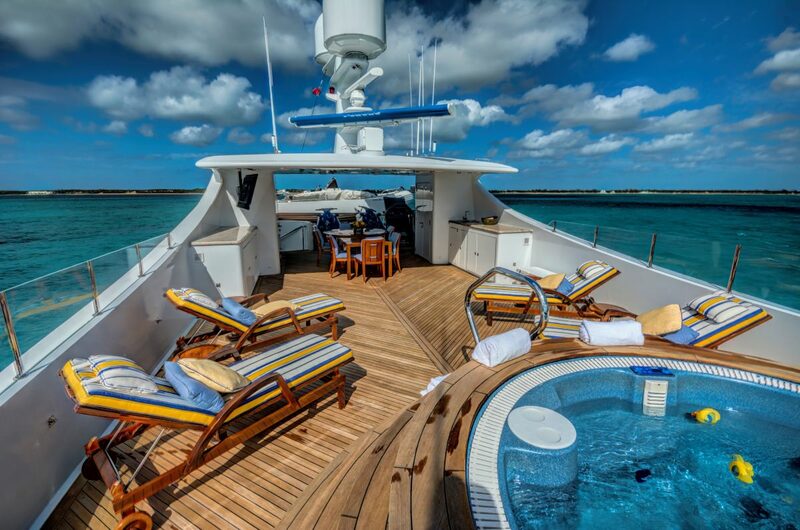 Boasting a tri-deck design and ample interior and exterior living, the charter yacht NEVER ENOUGH offers accommodation for up to 11 charter guests, in 5 en-suite cabins. 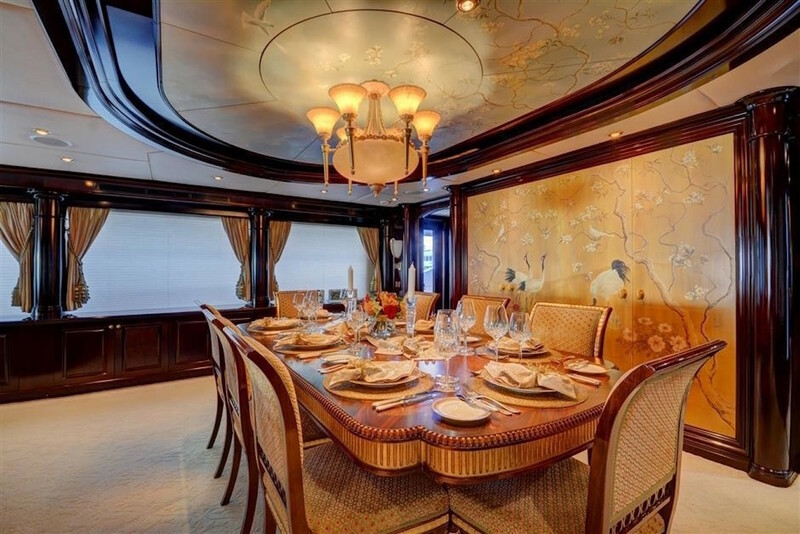 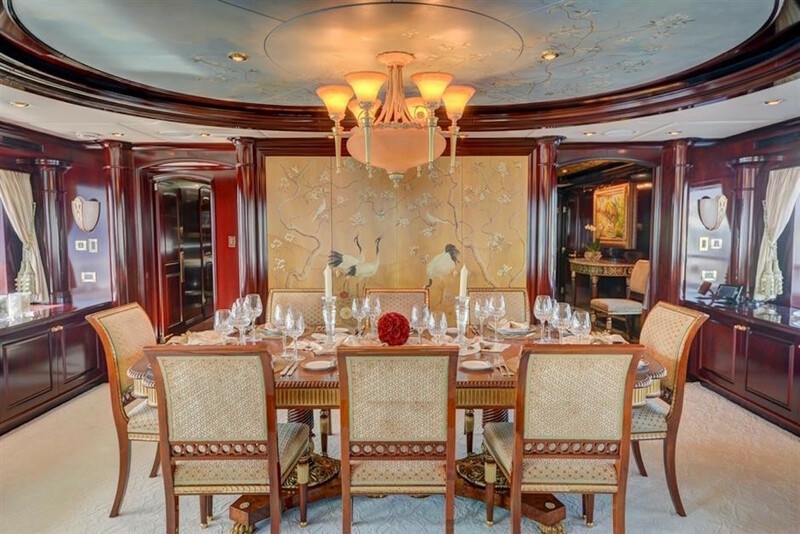 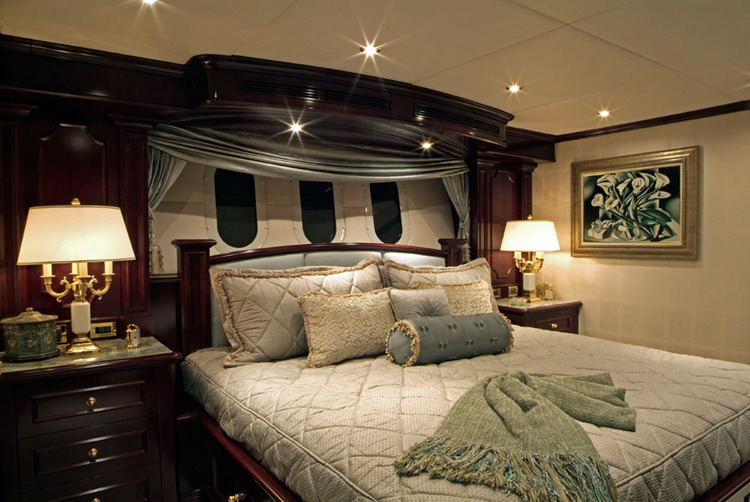 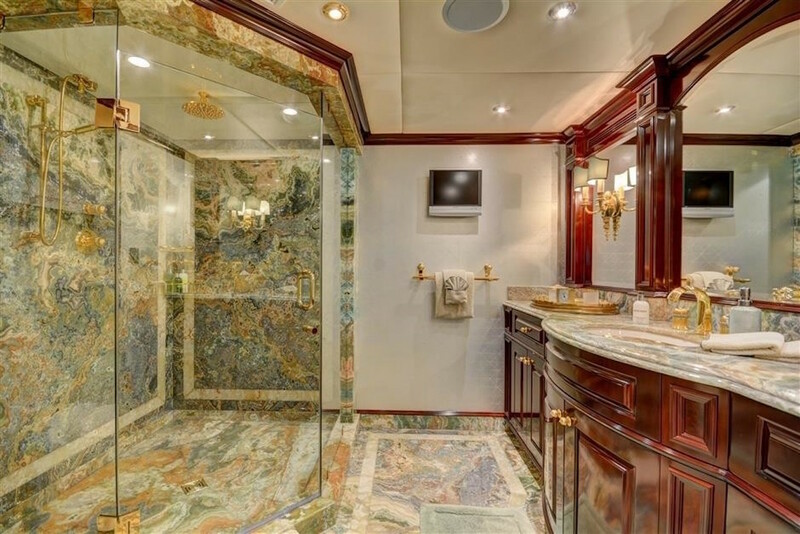 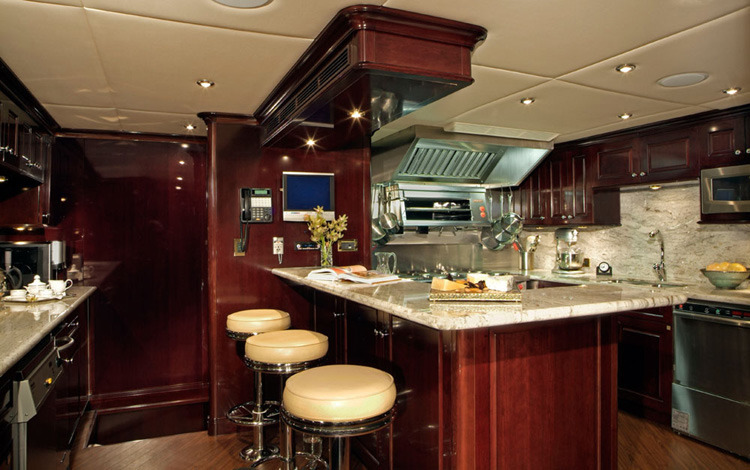 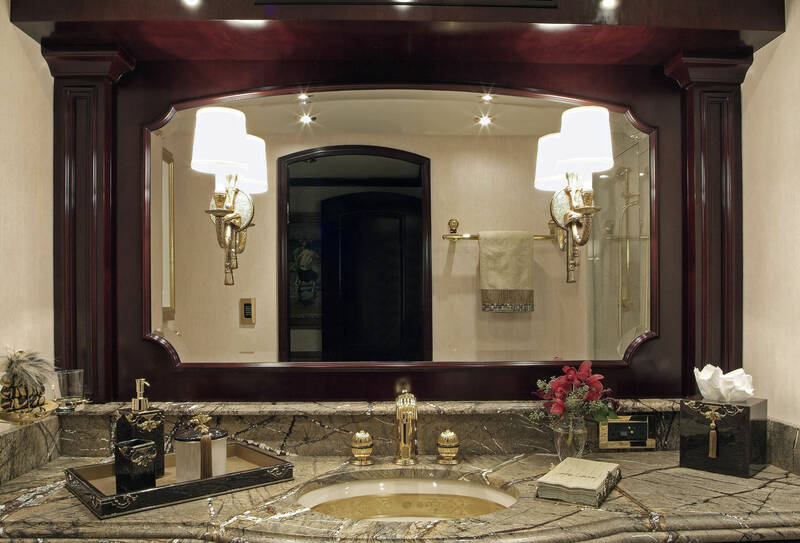 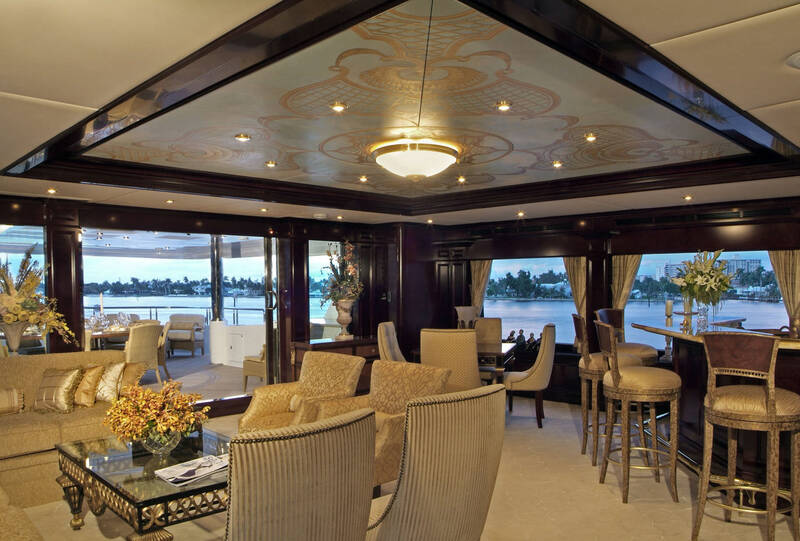 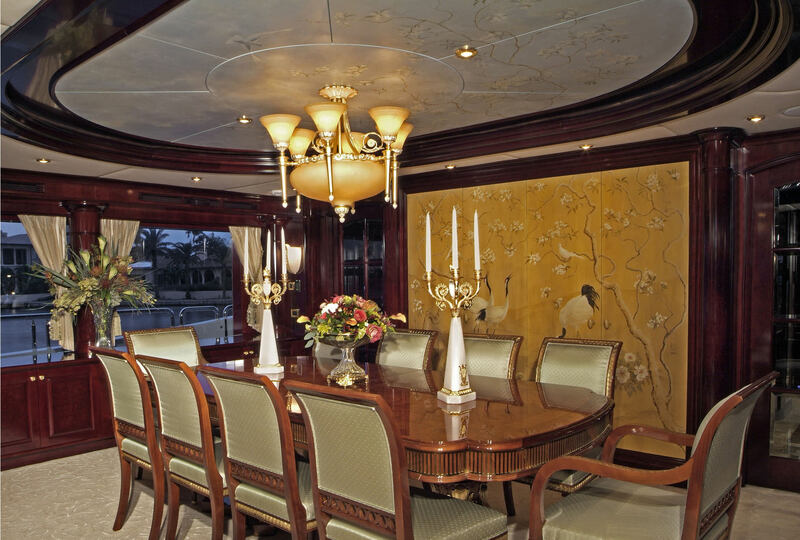 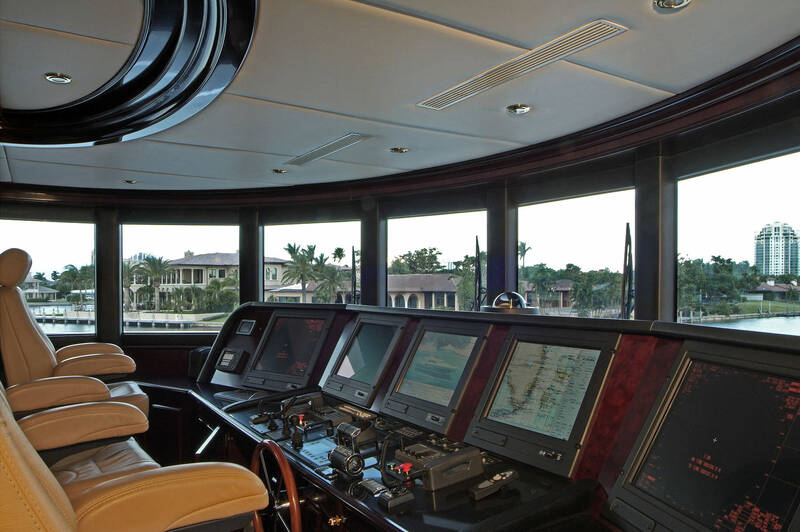 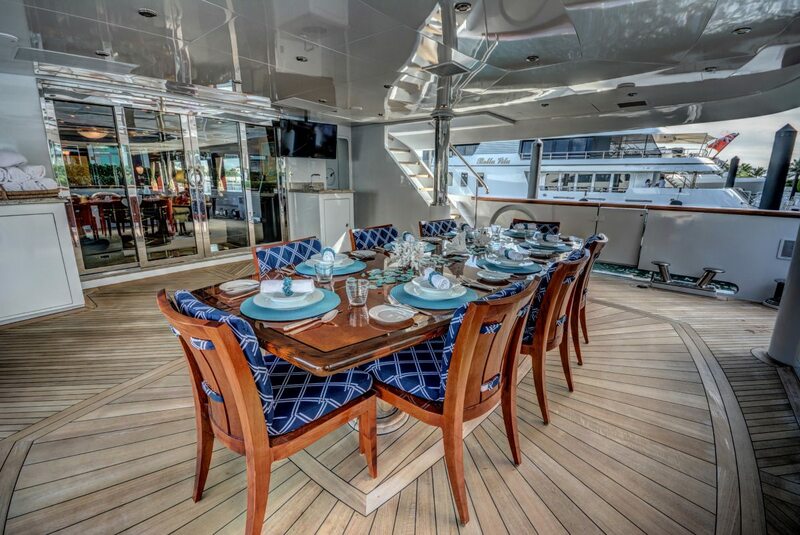 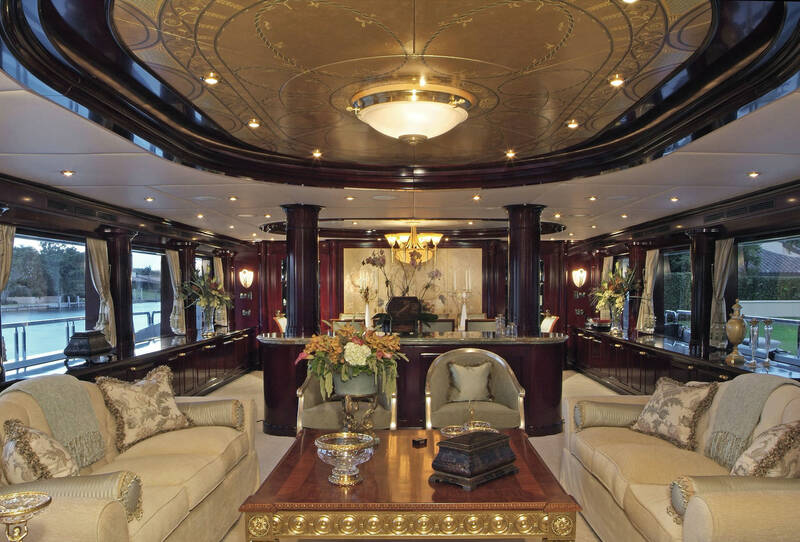 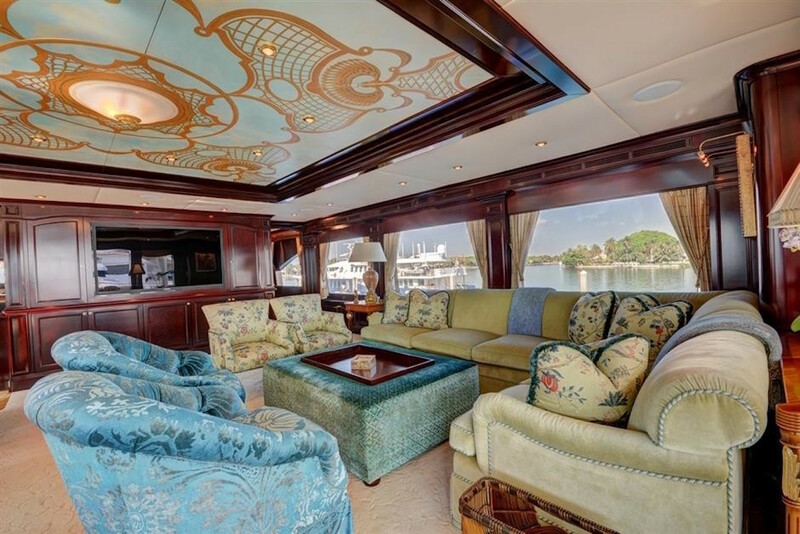 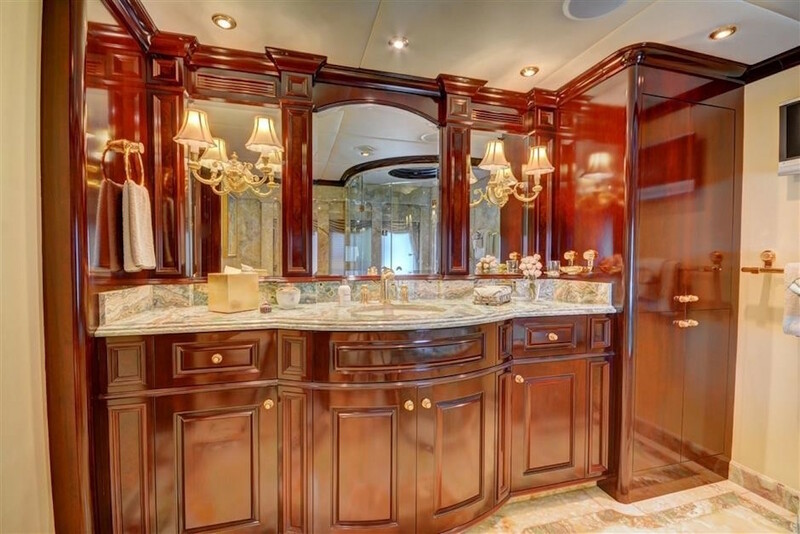 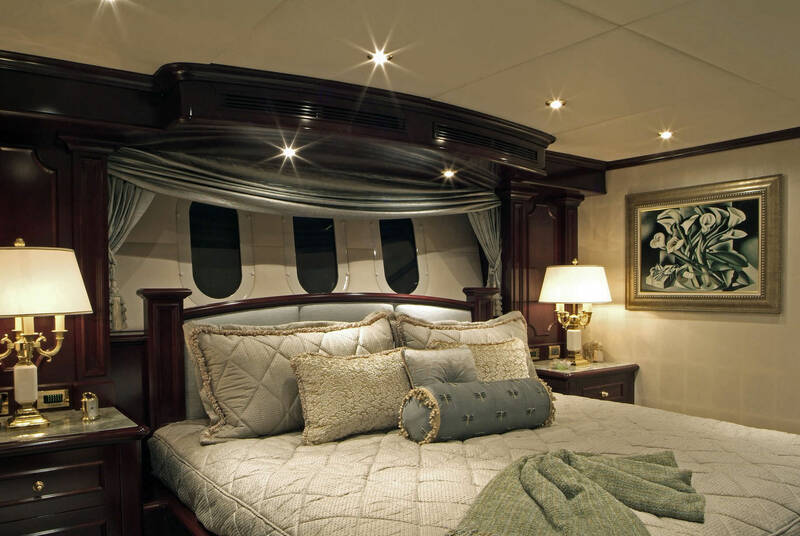 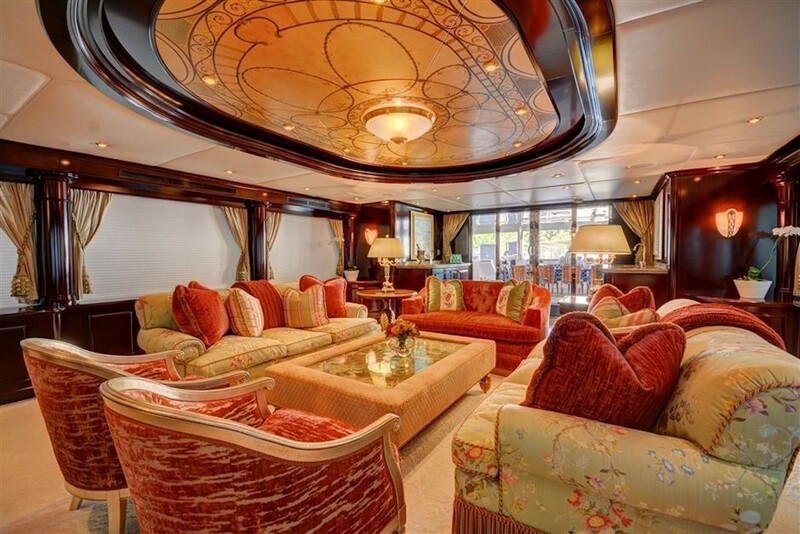 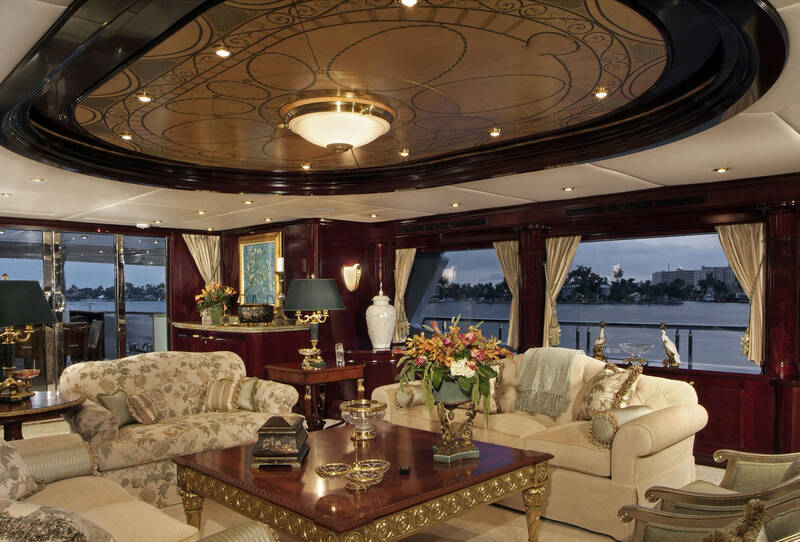 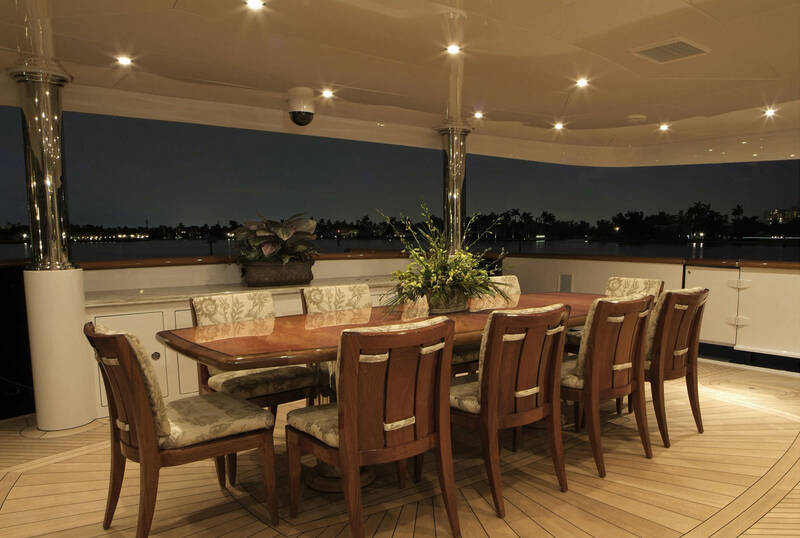 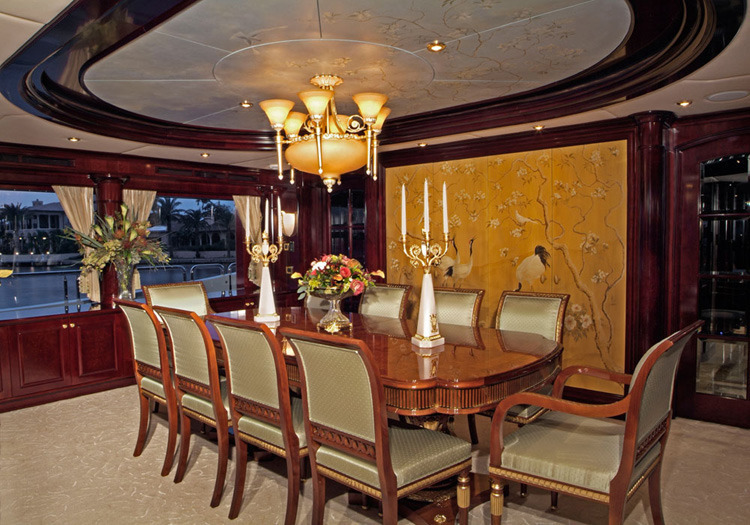 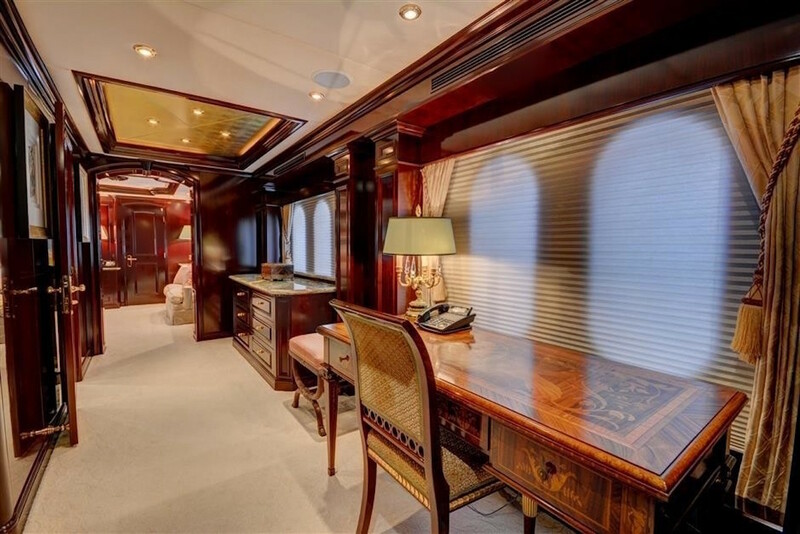 Motor yacht NEVER ENOUGH has an elegant interior décor by Evan Marshall, featuring fine marbles, rich cherry wood joinery, bespoke plush furnishings and exquisite custom detailing. 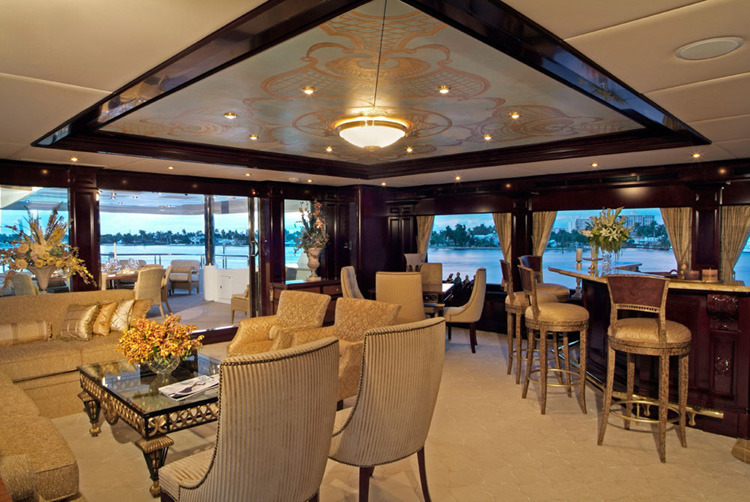 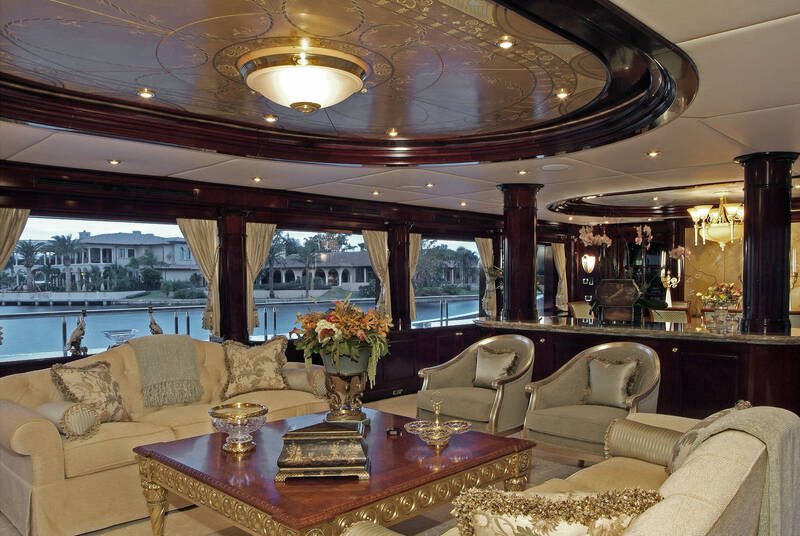 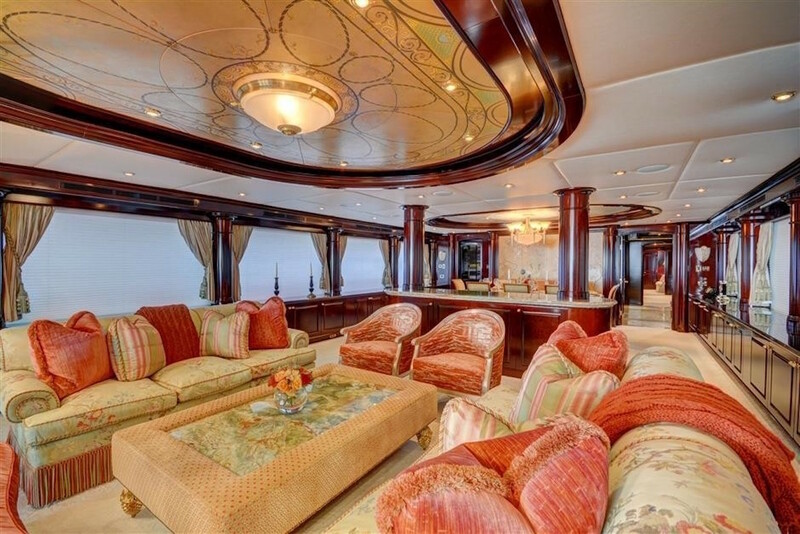 The main salon offers a social lounge, with opposing sofas, occasional chairs, coffee table and wet bar aft. 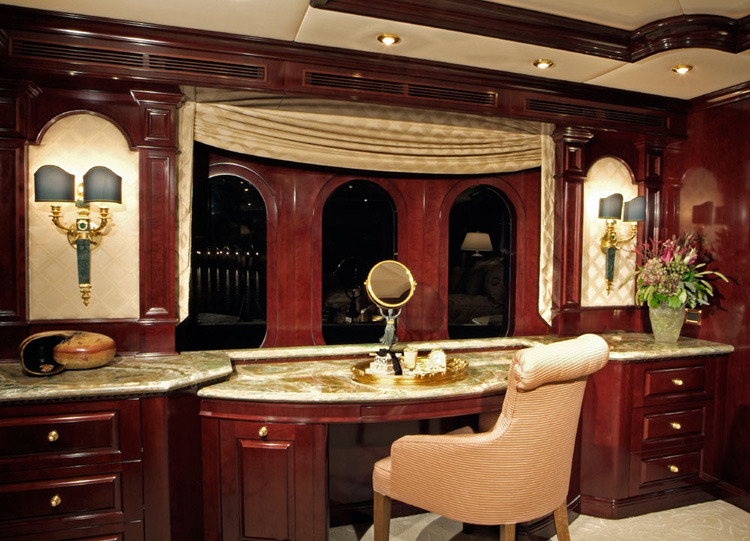 A low island credenza provides a casual separation to the formal dining area forward. 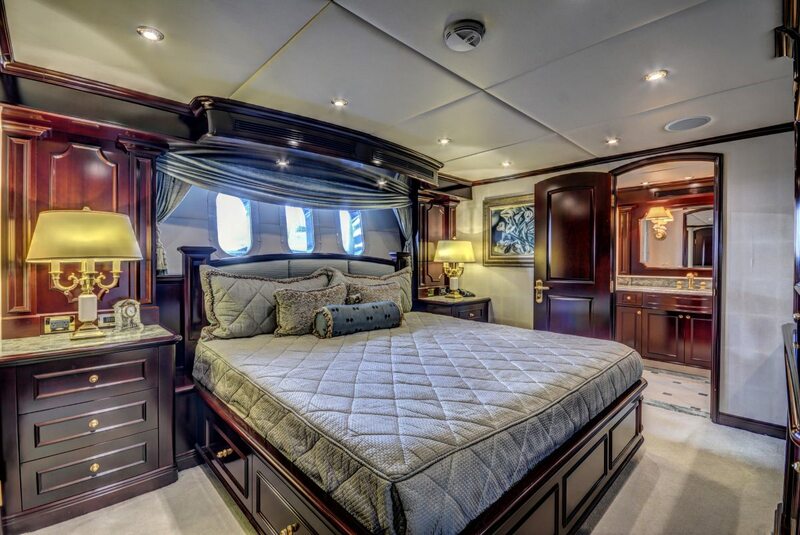 The master stateroom is on the main deck, forward of the salon, with access through a generous private study to starboard. 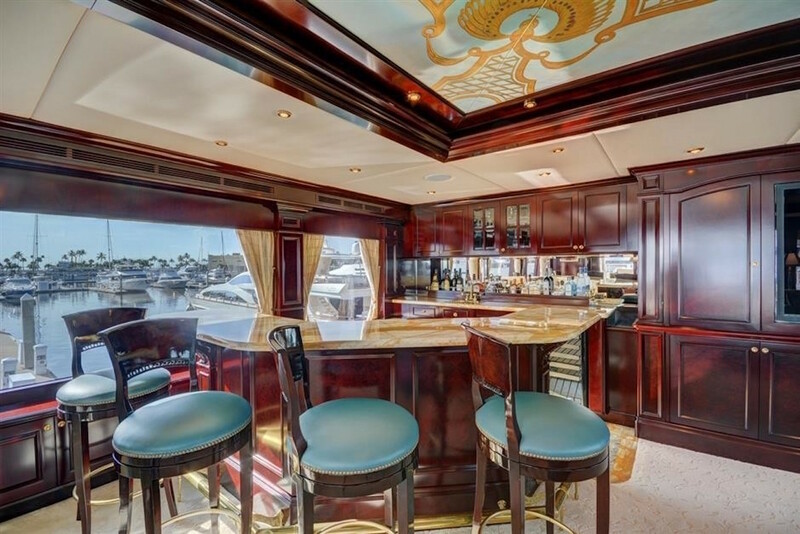 An upper deck offers a well-appointed skylounge, boasting comfortable seating, coffee table, complete wet bar and full entertainment systems. 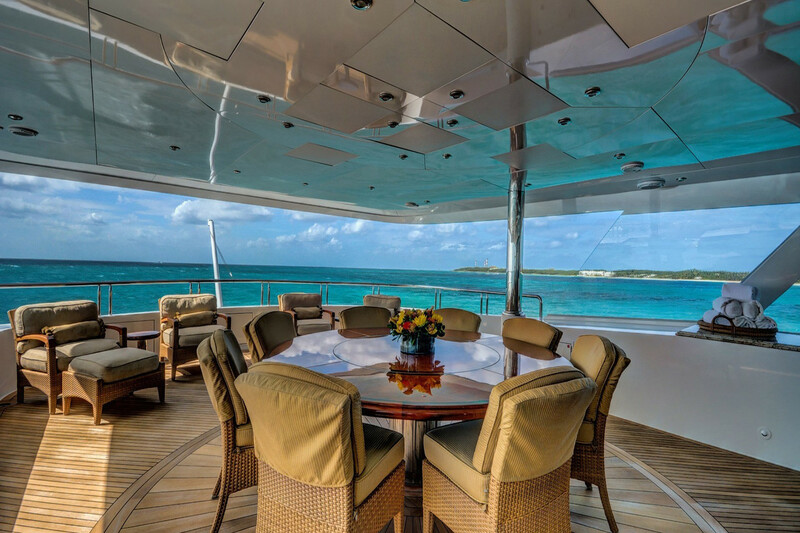 Panoramic windows in the 2 salons ensure optimum natural light and fantastic views. 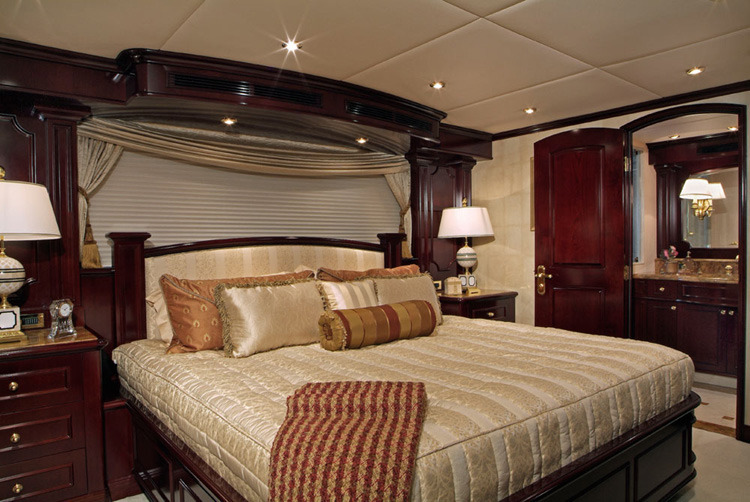 On the lower deck are 4 guest suites, 3 with king size beds and one with side by side twin beds. 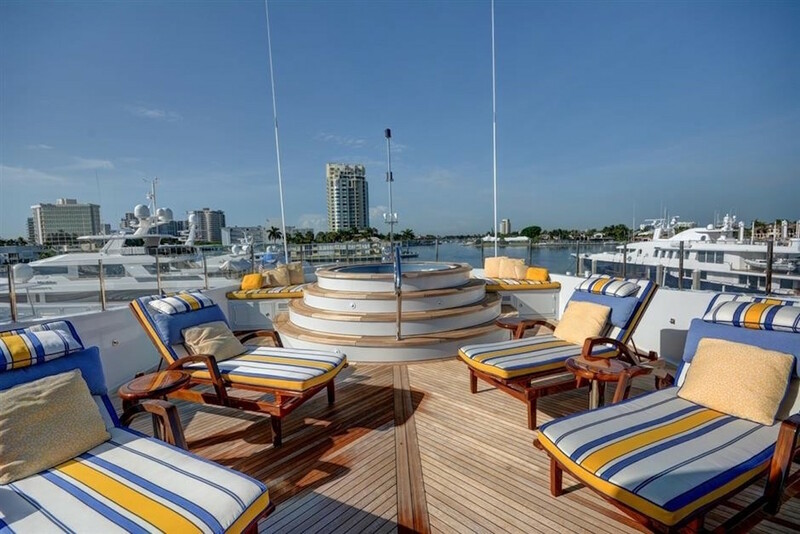 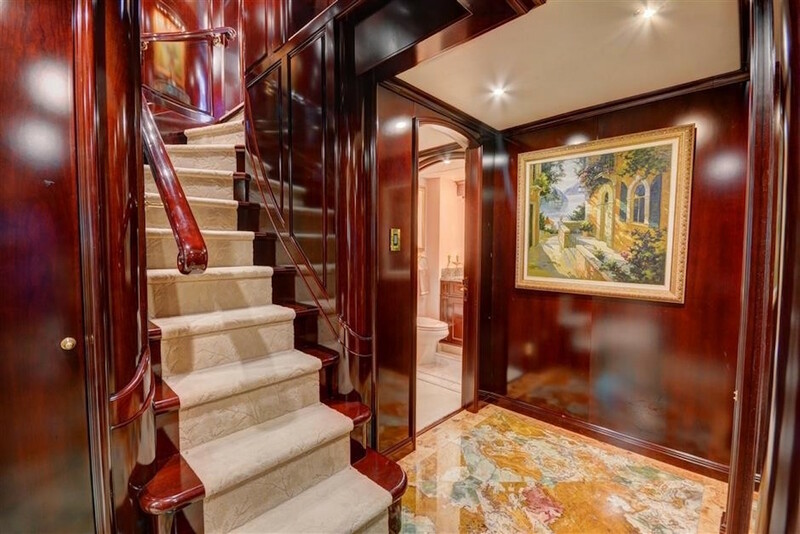 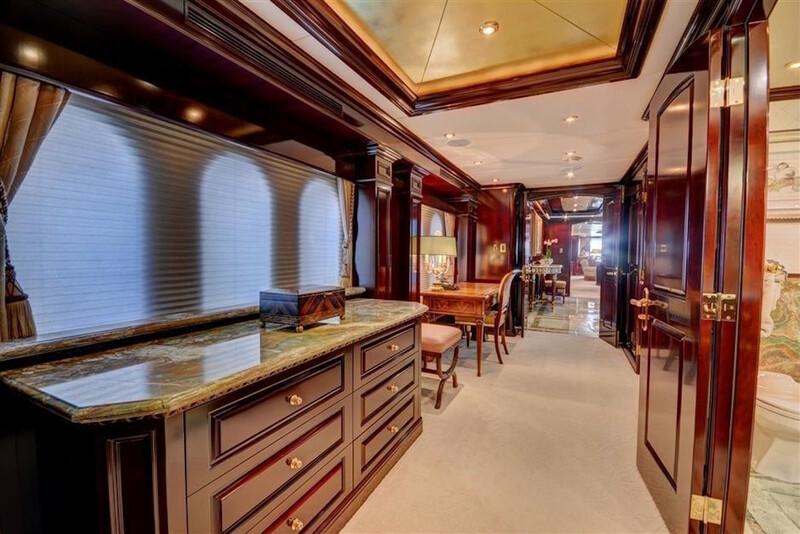 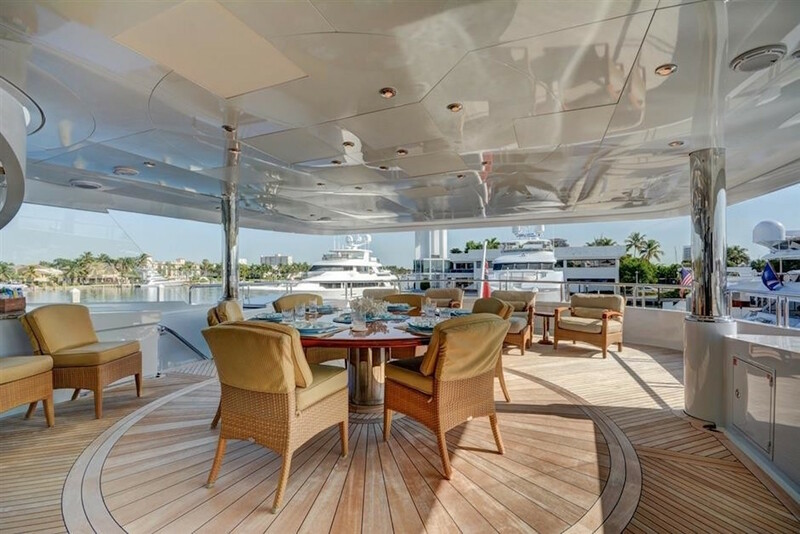 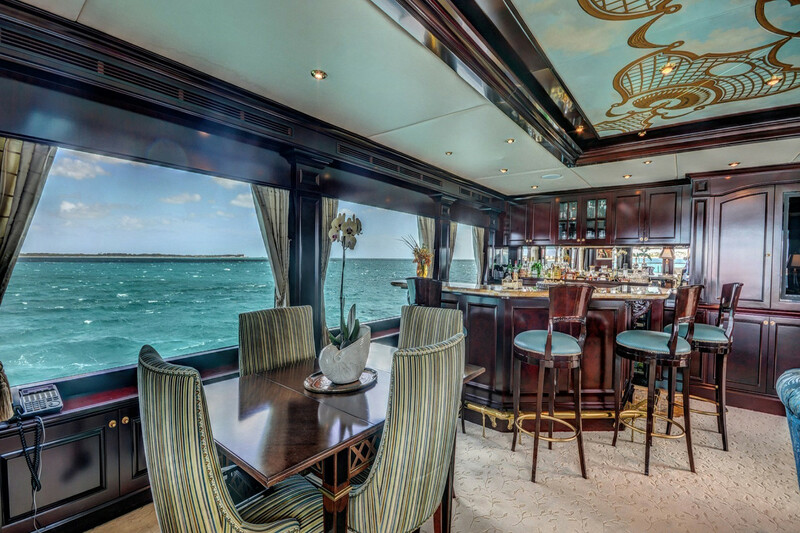 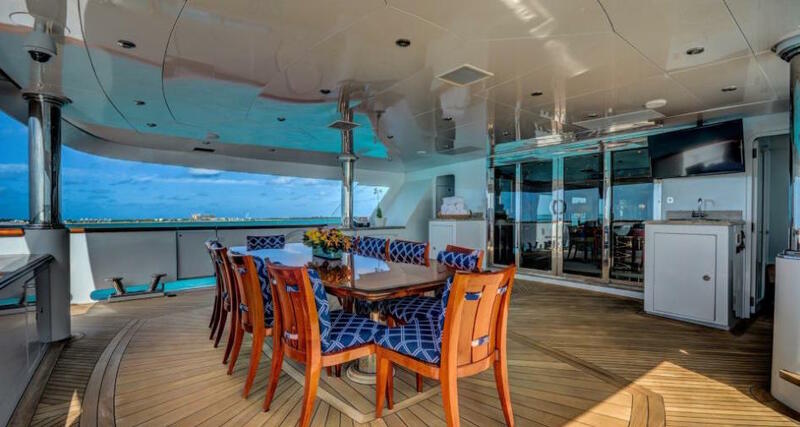 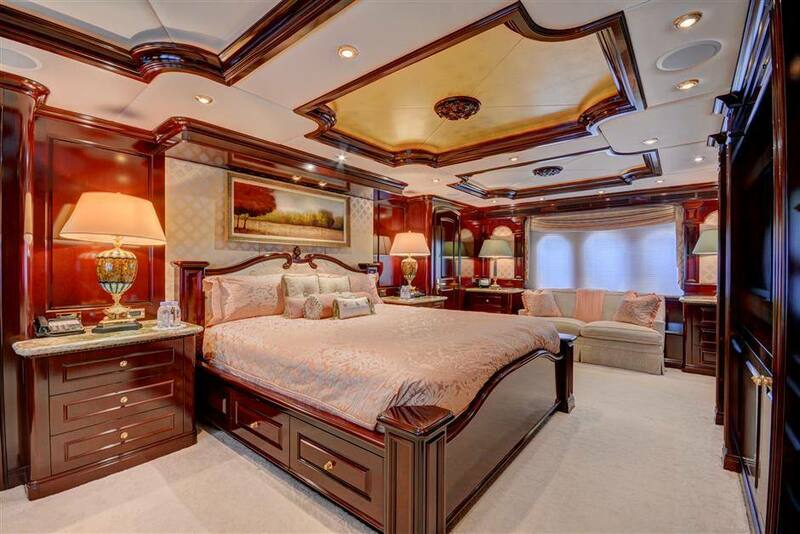 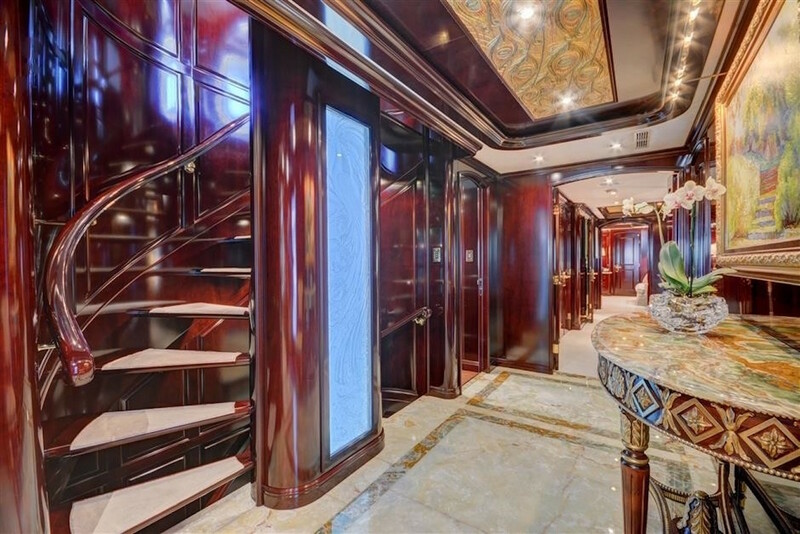 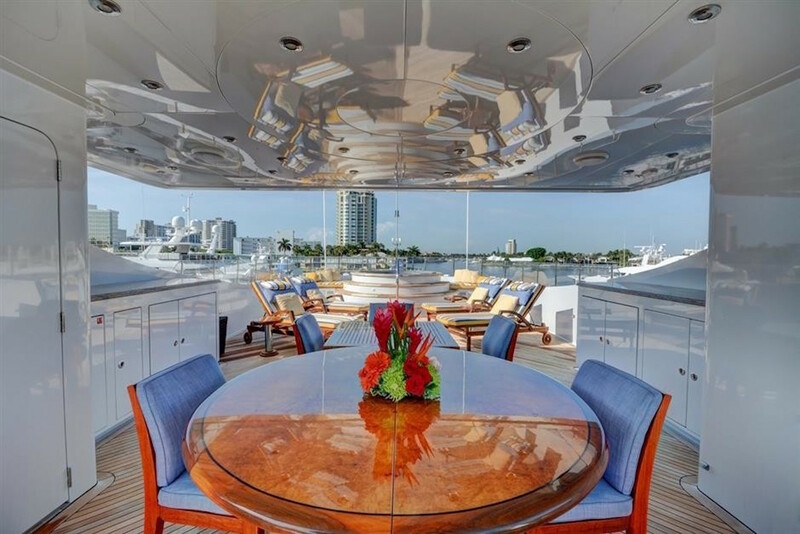 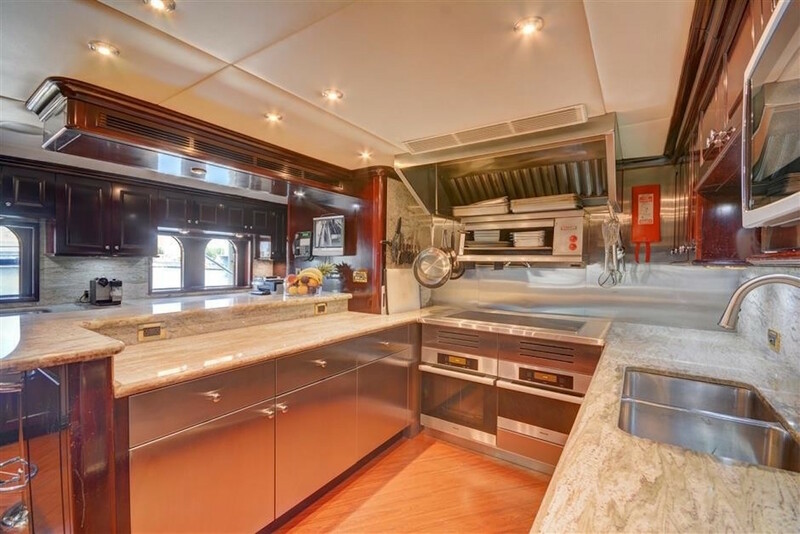 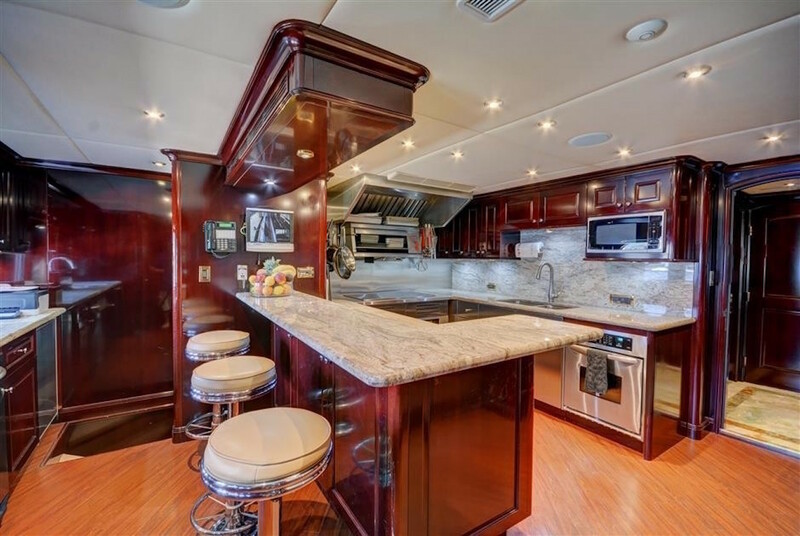 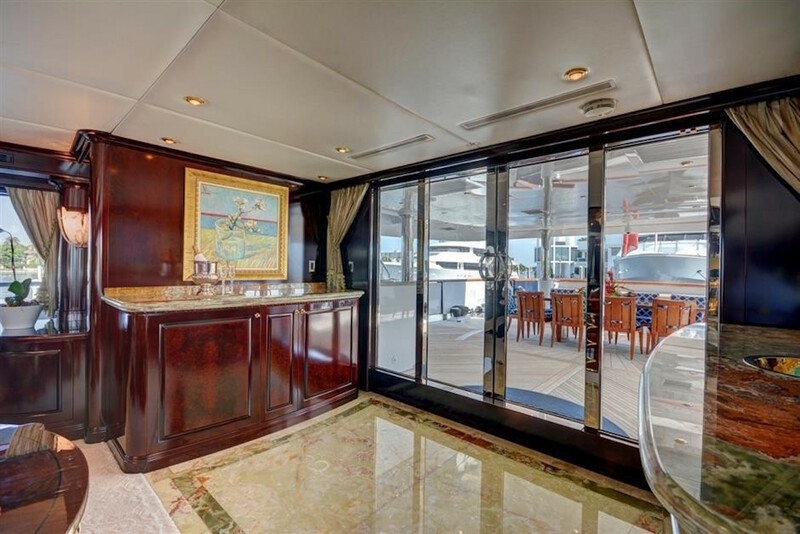 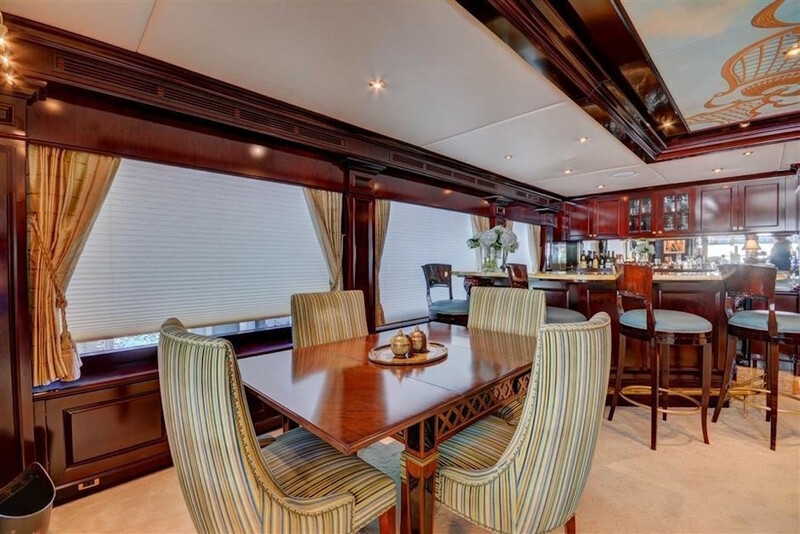 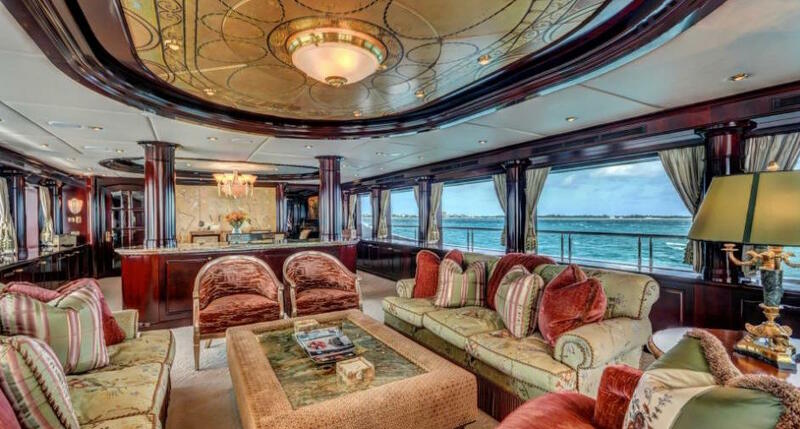 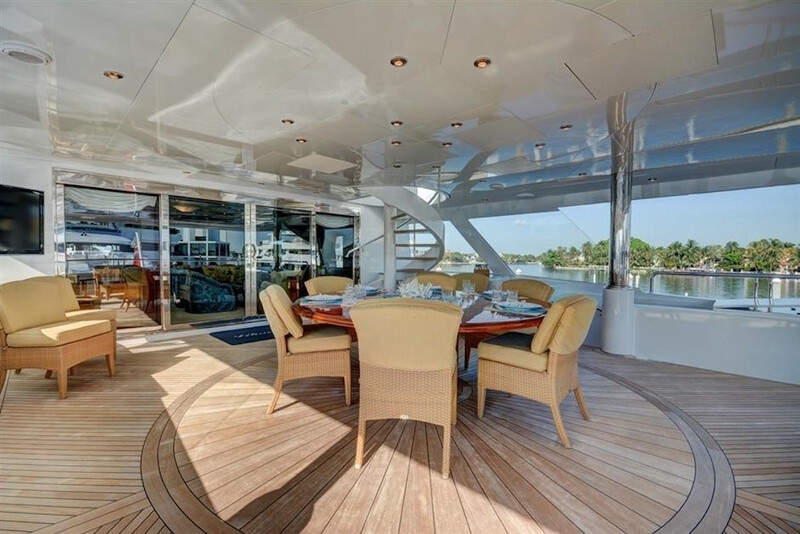 Exterior living on the Trinity motor yacht NEVER ENOUGH is capacious. 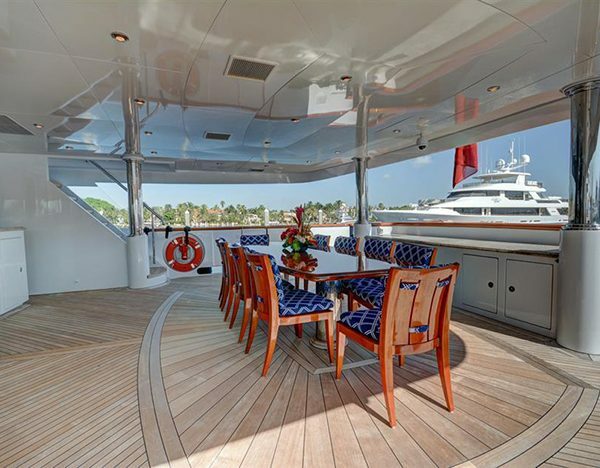 The main aft deck offers shade and an alfresco dining option, with direct access to the salon, it is ideal for formal or casual occasions. 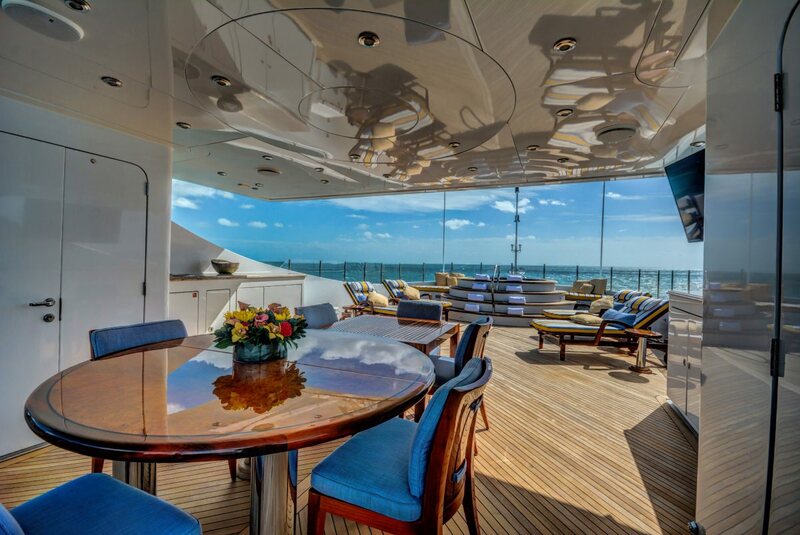 The upper deck features shade, an alfresco dining table, ample lounge seating and access to the skylounge. 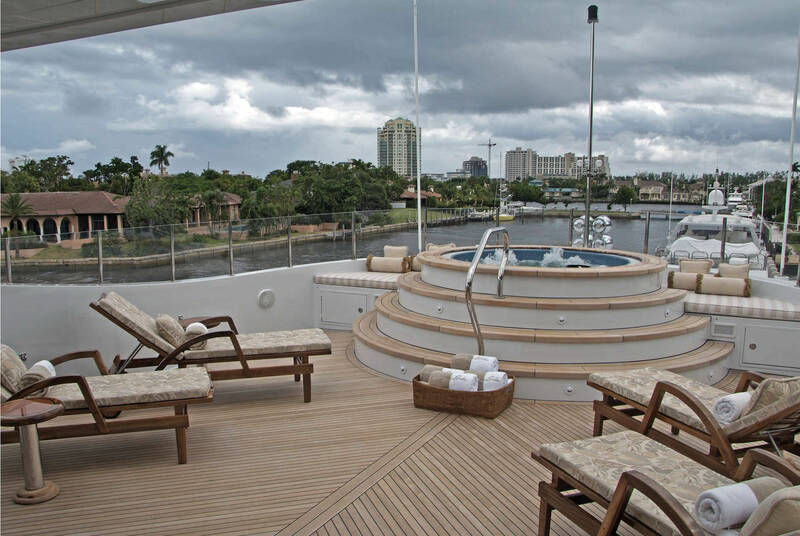 On the sundeck, a further alfresco dining option is available, partial shade, plenty of chaise lounges, and a deluxe Jacuzzi tub, with surrounding sunpads. 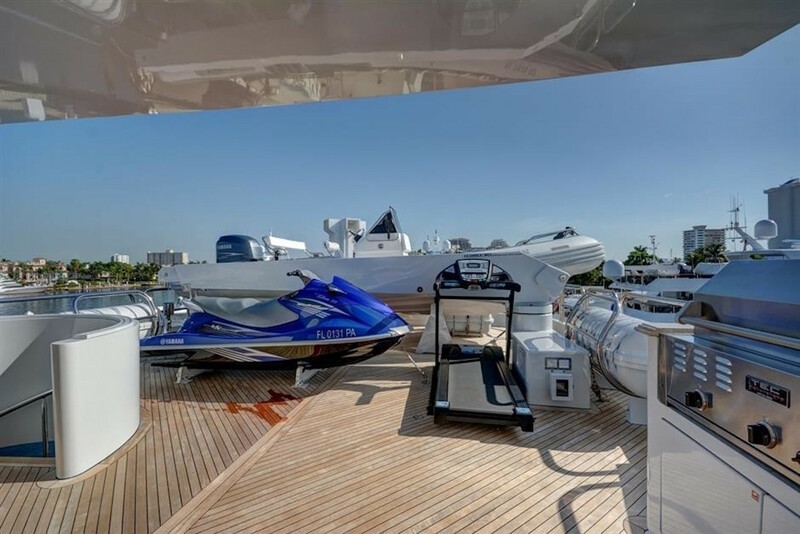 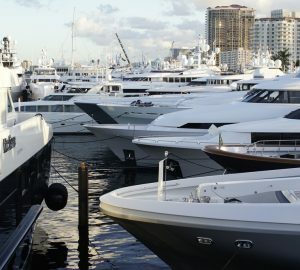 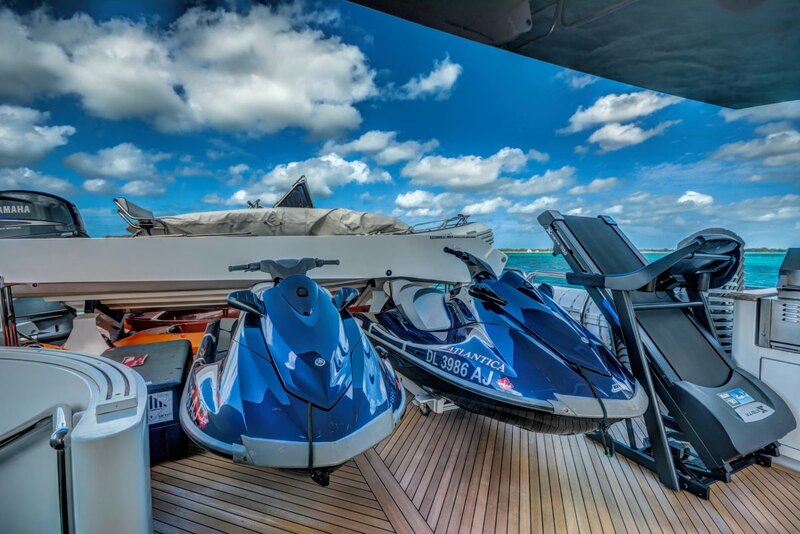 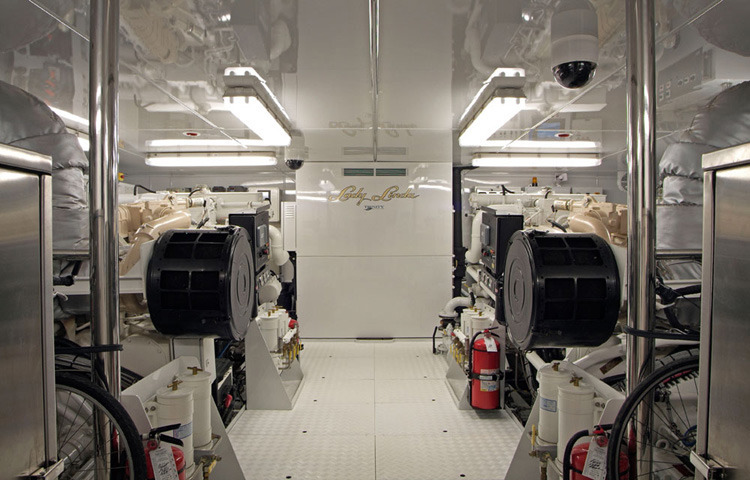 Powered by 2 x CAT 2250hp engines, M/Y NEVER ENOUGH has cruising speeds of 16 knots and top speeds of 19 knots. 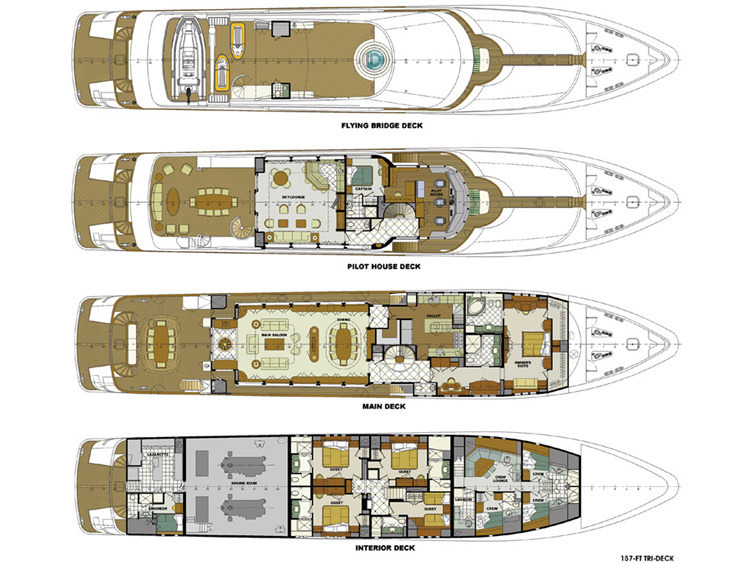 The Trinity yacht NEVER ENOUGH is a semi-displacement hull and boasts at anchor stabilisers. 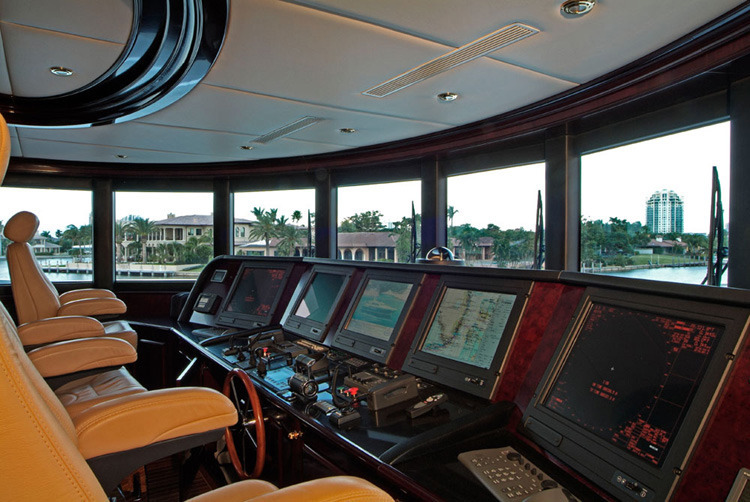 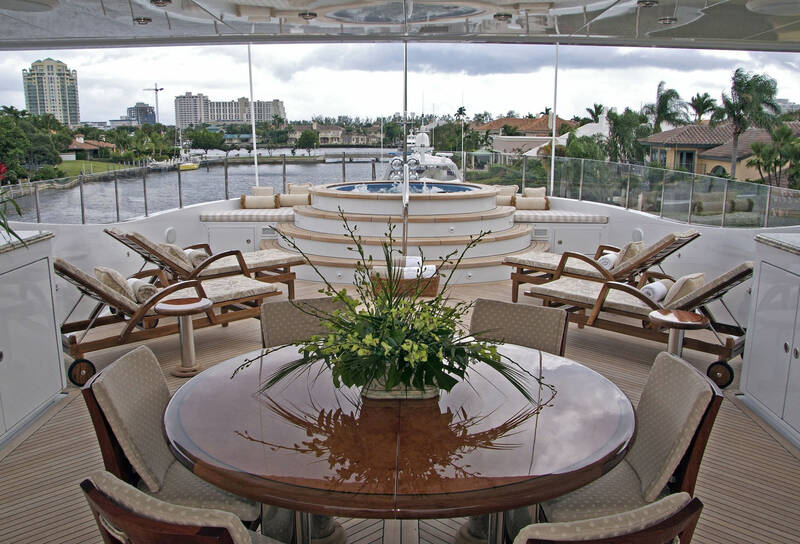 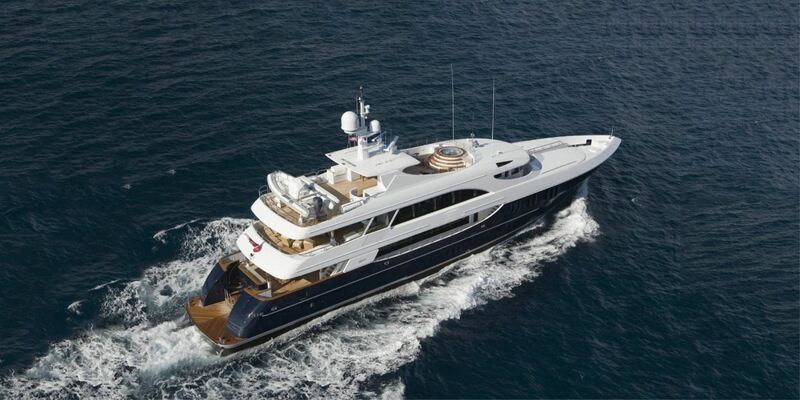 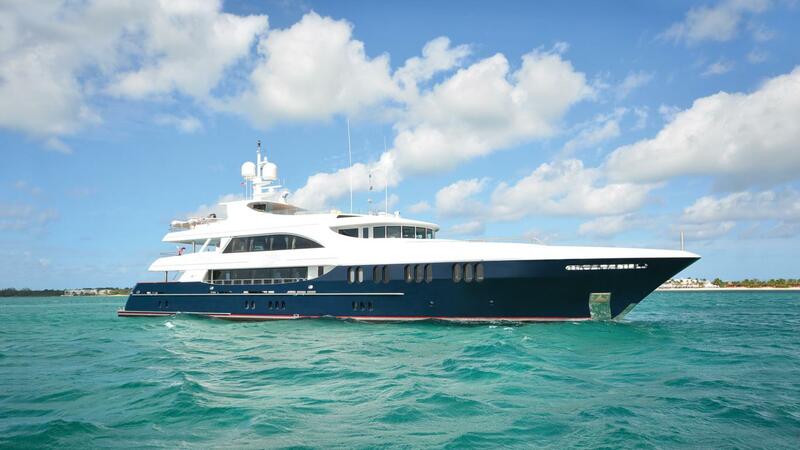 Luxury motor yacht NEVER ENOUGH can accommodate up to 11 charter guests, in 5 stylish cabins. 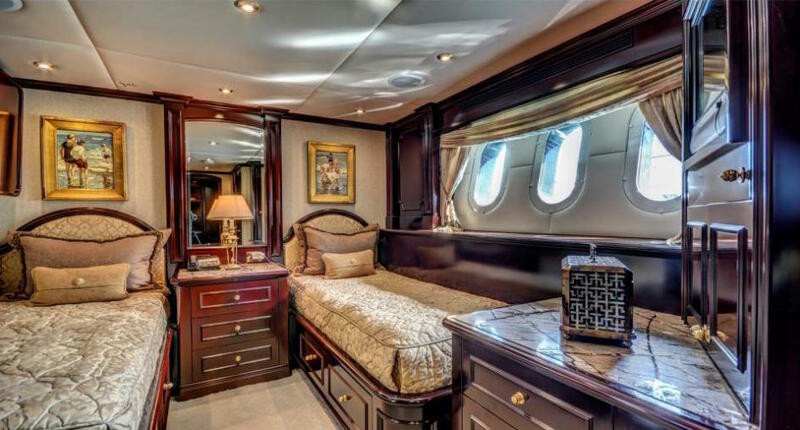 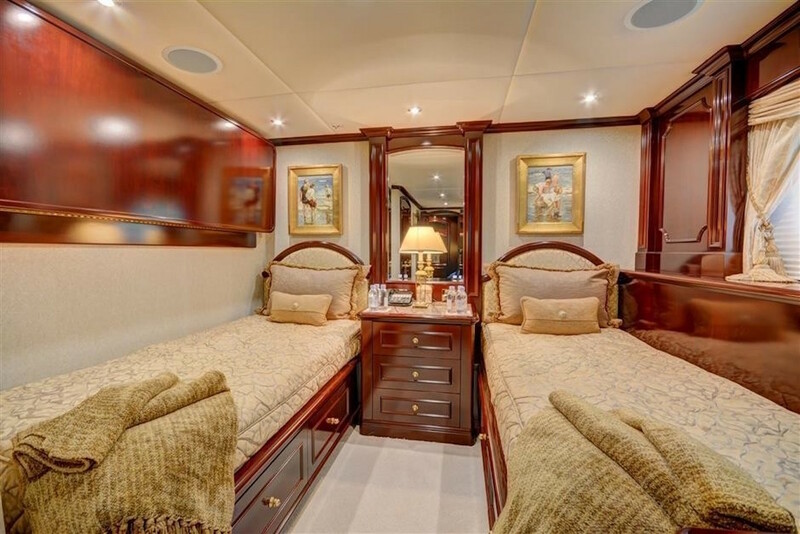 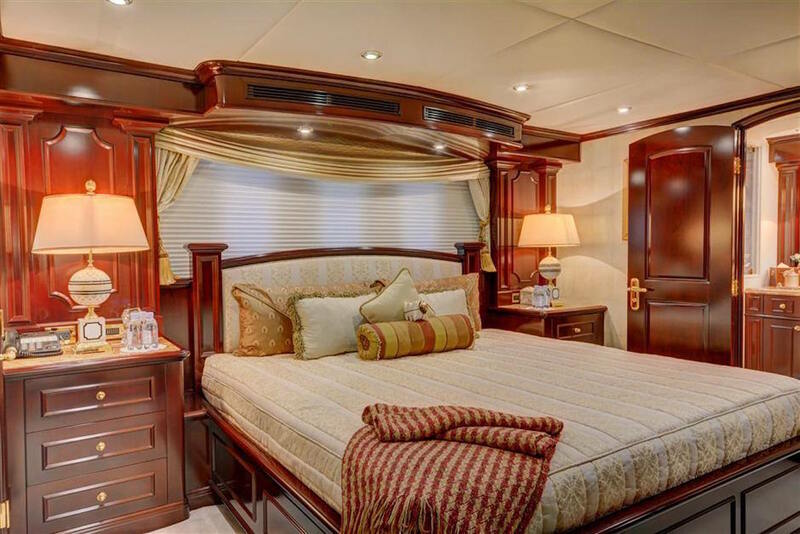 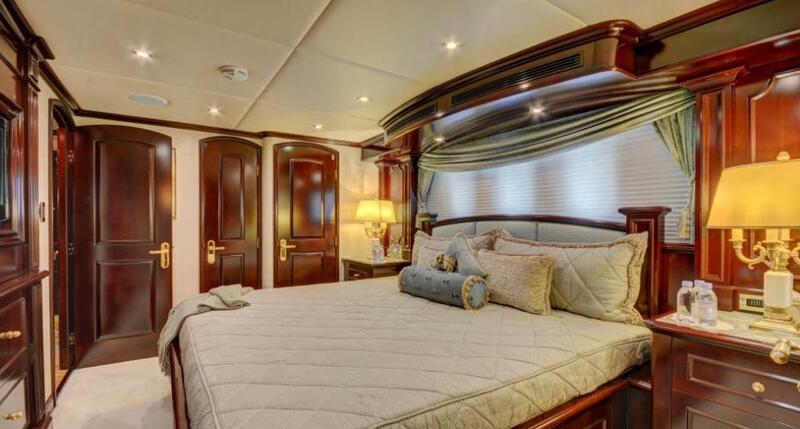 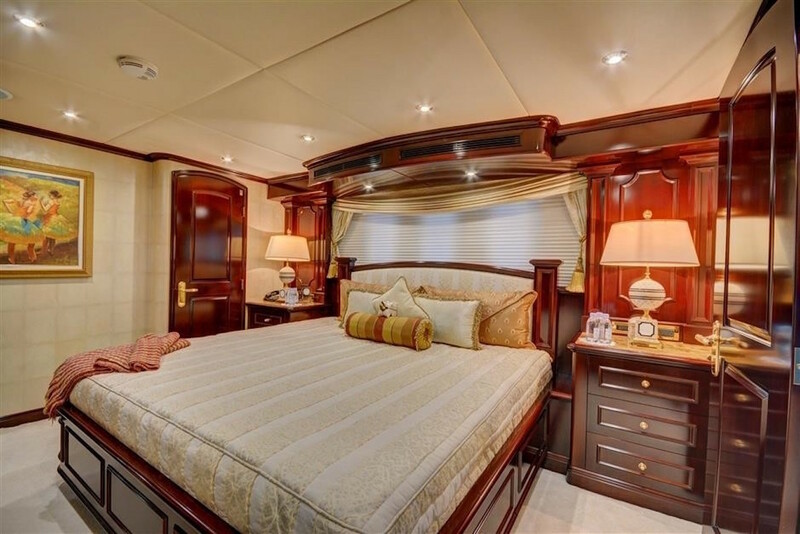 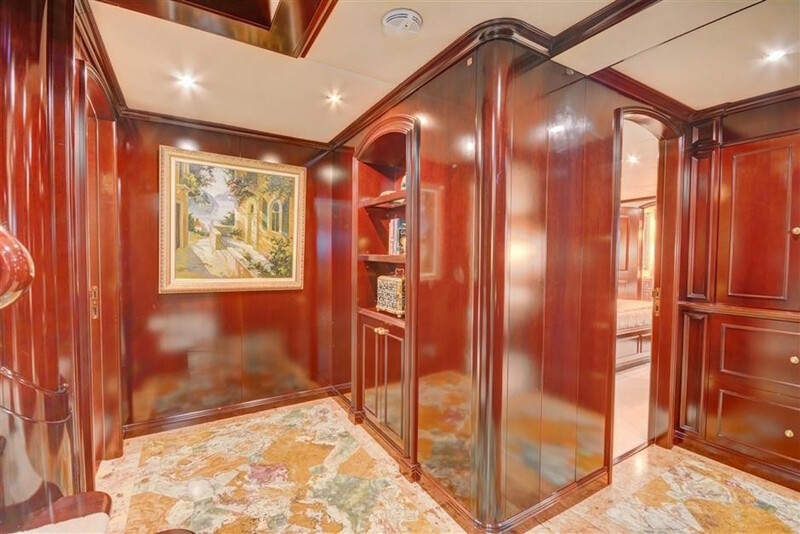 The master stateroom is on the main deck forward of the salon, with a private study entrance, king size bed, sofa, vanity, his and hers wardrobes and his and hers en-suite. 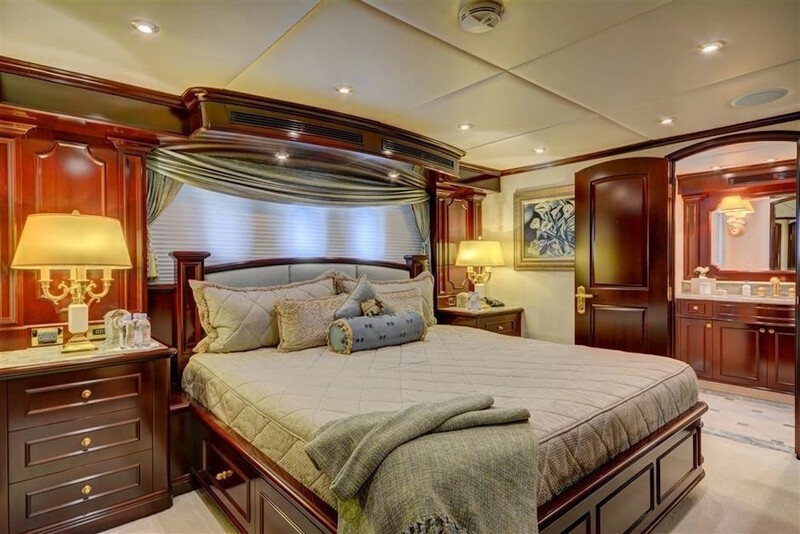 Below decks are 3 guest cabins, each with a walk around king size bed, plus a further cabin, with side by side twin beds and a Pullman berth. 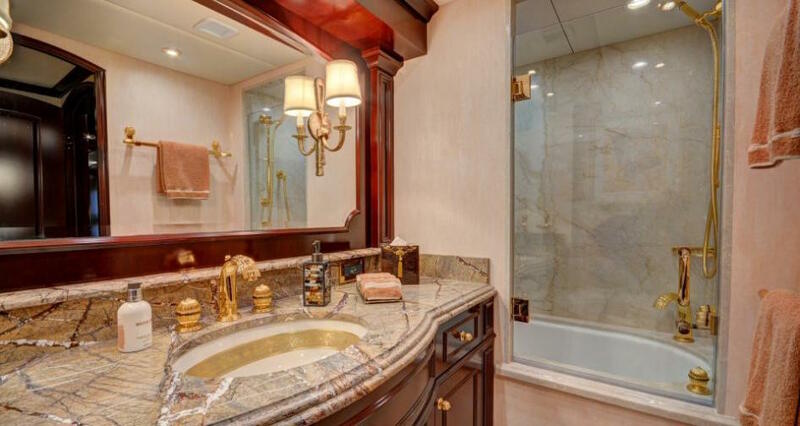 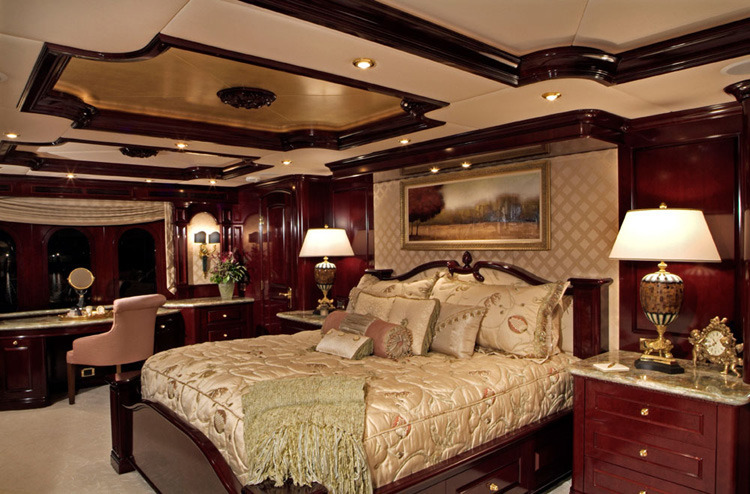 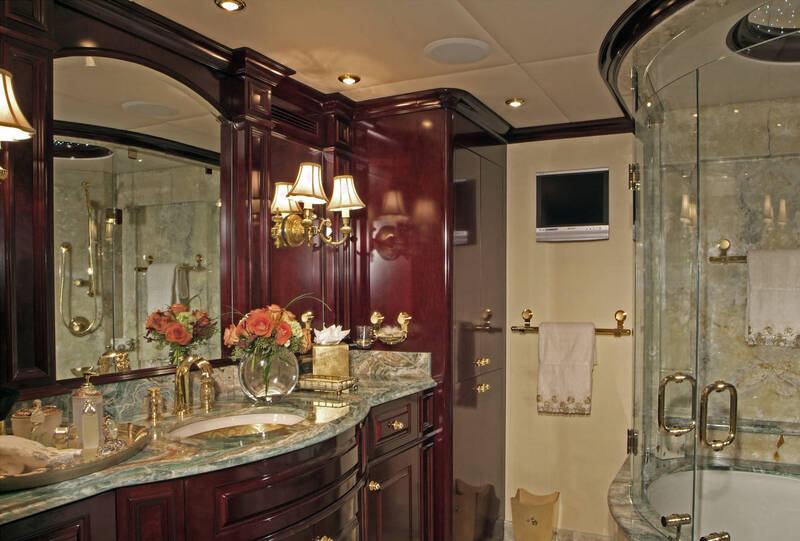 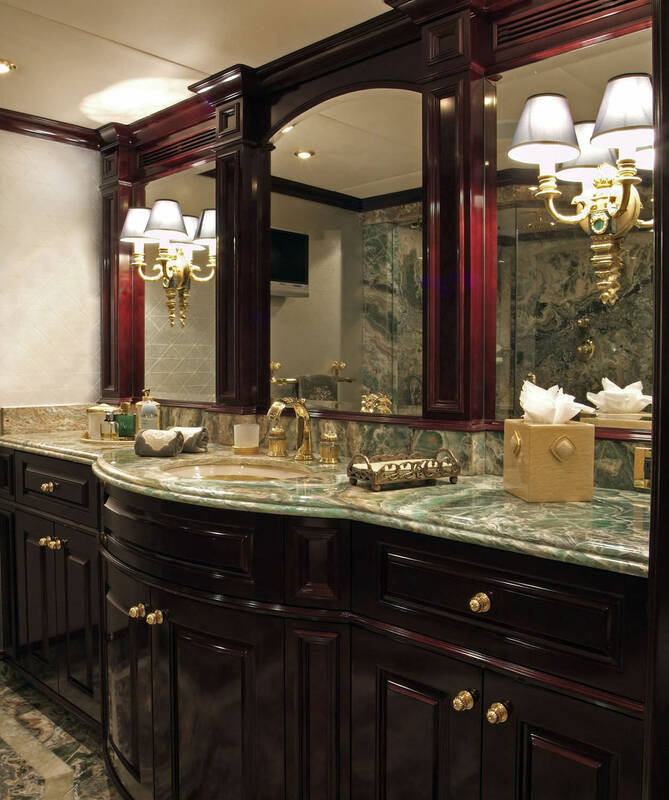 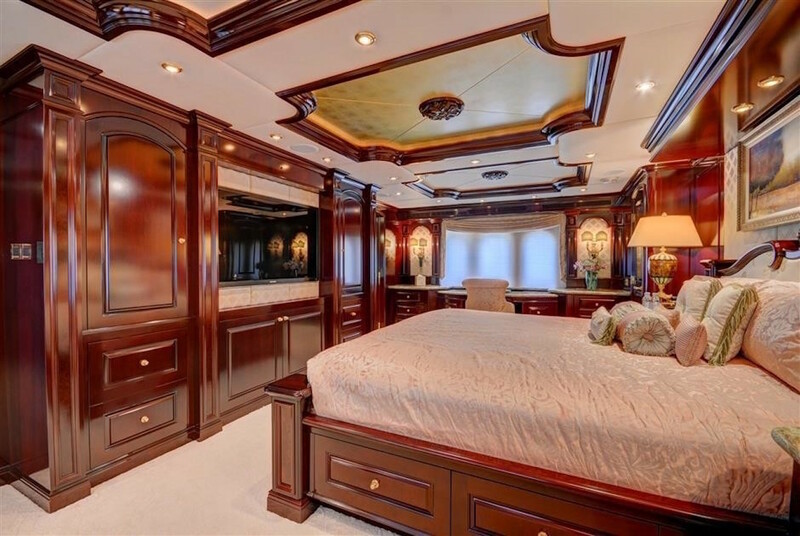 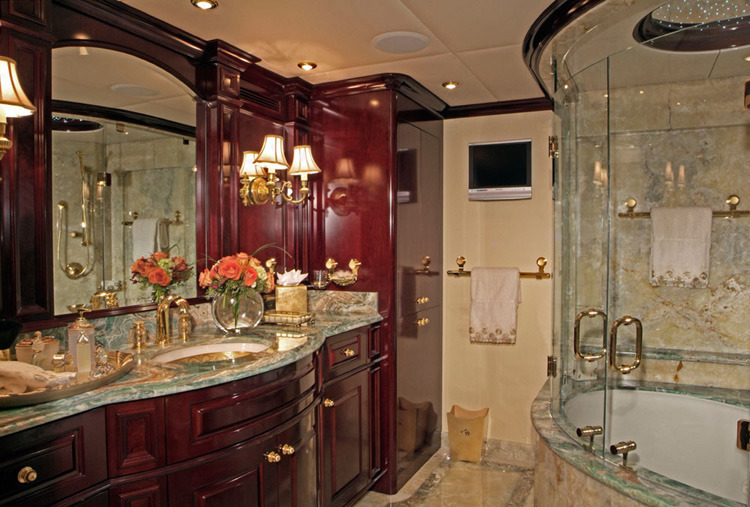 All 5 cabins are finished to a very high standard, lavishly adorned in fine cherry woods, smooth marbles and gold fixtures and fittings.